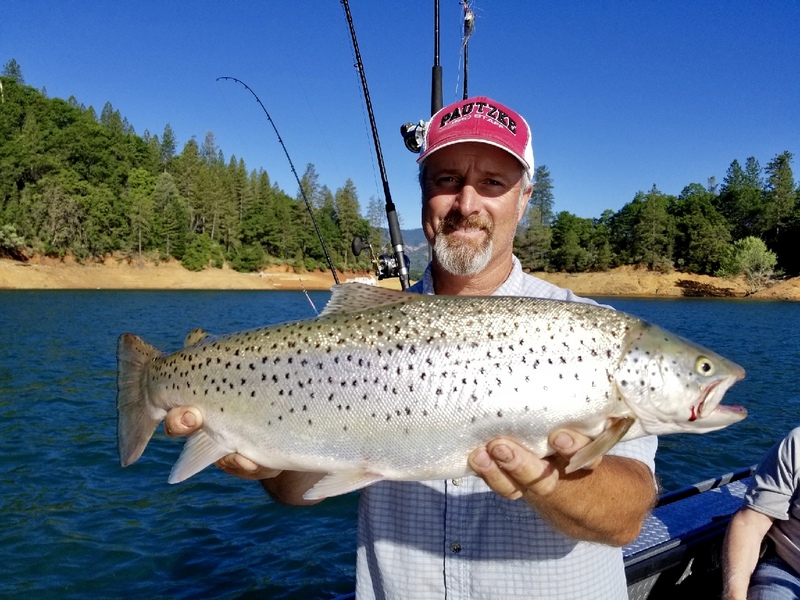 We're hooking browns in Shasta Lake nearly every trip, especially when we target them! 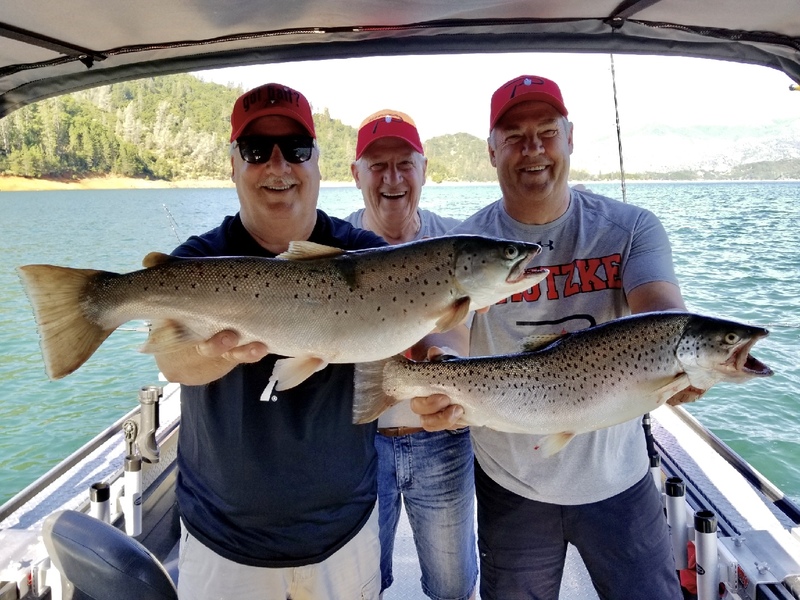 Shasta Lake is still fishing good, especially in the morning. Trolling is my top producer right now and doing so in the main body of the lake is where we're seeing the most action. The trout are still responding to rolled shad and to bigger baits used in conjnction with the Trinidad Tackle bait heads. The bait balls are cruising the shoreline and will occasionally be seen on the surface over deep water so anthing that looks like a shad gets bit. Taking baits down to 30'-60' is a good place to be, but big trout can be found in the deep dark water in the 100' range. These fish will concentrate in the 45' line after the thermocline establishes. Its identifiable now, but its a soft transition thats starting around 30' right now. Both browns and rainbows are easily available so gas up your boats, its go time! !